Breann received her Masters of Health Science degree in Speech-Language Pathology from the University of Toronto. Ever since Breann has returned to the Tillsonburg area after completing her degree, she has wanted to provide private services in the rural communities of Oxford and surrounding counties. She has gained valuable experience working with pre-school and school-age children as well as adolescents in various settings including: preschool initiative, schools and private practice. Breann has experience working with children who have language difficulties, articulation/phonology delays, dysfluency, voice disorders, developmental delays, Down Syndrome, literacy challenges and Autism Spectrum Disorder. Breann prioritizes the importance of collaboration with parents, school staff, and other professionals when developing and implementing treatment goals. Breann believes that this team approach reduces stress on the family and truly maximizes the child’s gains in their real-life environment. Sarah received her diploma in Early Childhood Education from Fleming College in 2008. 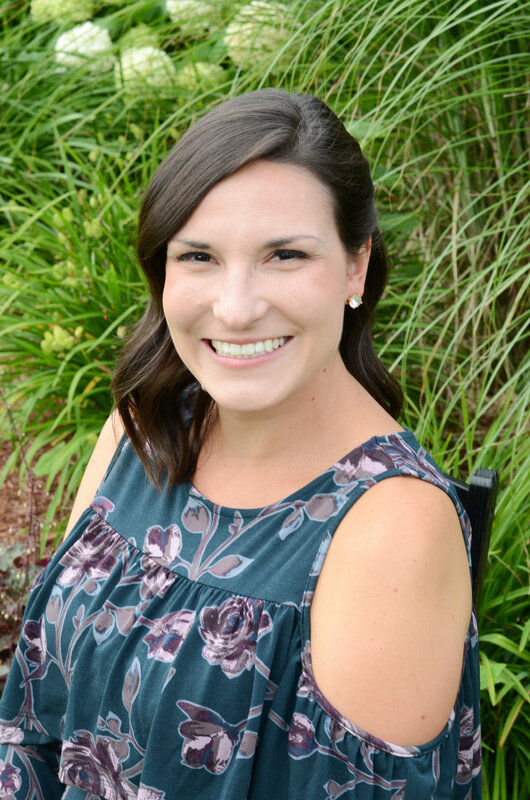 After 3 years of working with children in a preschool setting, Sarah decided to expand her knowledge supporting children with early learning and development by obtaining her Communication Disorders Assistant diploma from Lambton College in 2011. Sarah has experience providing speech therapy to a variety of different patient populations including children, stroke victims and those with brain injuries. Helping children with articulation, language and phonological awareness are areas of particular interest for Sarah. Her passion for working with children is apparent as she demonstrates a great understanding of child development and takes great pleasure in helping children meet their fullest potential. Sarah is thrilled to give back to the community in her hometown of Tillsonburg! Carrie received her Master of Arts degree in Speech-Language Pathology from Western Michigan University. She is registered with the College of Speech-Language Pathologists and Audiologists of Ontario. Since graduating in 2011, Carrie has worked mostly with children ranging from the ages of 4-18 years, assessing and treating a variety of communication disorders. She has especially worked with children with delays and disorders in the areas of fluency, articulation/phonology, voice, resonance, augmentative communication, and oral motor coordination (including Apraxia of Speech). Carrie has experience working in multidisciplinary teams, and values collaborating with families and all team members to provide the best possible treatment and outcomes. She loves working with children of all ages, and being able to be a part of giving them the skills and tools to successfully communicate with their families and friends. She lives in rural Oxford County and is excited to begin providing private therapy services for children at Oxford Speech Plus. Julie received her undergraduate degree in Psychology from the University of Waterloo in 2015 with a focus in Child Development and Abnormal Psychology. Julie continued her education at Lambton College and received her Communicative Disorders Assistant diploma in 2016. Julie has experience working with various ages of children to improve their articulation, language and phonological awareness, literacy, and fluency. Julie has a passion for working with children with Autism Spectrum Disorder and Down Syndrome. She has spent many years as a special needs respite worker to improve social communication skills and non-verbal communication. Janaki received her Masters of Health Science degree in Speech Pathology Studies at the University of Queensland, Australia and is registered with the College of Speech-Language Pathologists and Audiologists of Ontario. Prior to obtaining her masters degree, Janaki taught English as a second language in Shanghai, China. Janaki has worked with children aged 2-15 years, assessing and treating a range of communication disorders. She has especially worked with children who presented with literacy, language and articulation/phonological delays and disorders. Janaki firmly believes in client and family-centered care and strives to collaborate with family members, teachers and other health practitioners throughout the assessment and treatment process. She enjoys working as part of a team and is passionate and committed to improving the lives of her clients in order for them to achieve their highest potential and have full access to their community! Janaki is originally from Oxford County and is thrilled to be back and providing speech-language pathology services to children at Oxford Speech Plus. Cassandra received her Masters of Health Science degree in Speech-Language Pathology from the University of Toronto. She has gained valuable experience administering assessments and providing therapy to a variety of populations including children of all ages, indigenous populations, and stroke victims. Cassandra has experience working with children and adults who have language difficulties, articulation/phonological delays, disfluencies, motor speech disorders, tongue thrust, and voice disorders. She has experience with Picture Exchange Communication Systems (PECS), Supported Conversation with Adults with Aphasia (SCA), and is certified in Hanen’s It Takes Two to Talk program for guiding communication in children with language delays. Cassandra has experience working in multidisciplinary teams including families, teachers, and other allied healthcare professionals. She believes the team approach truly maximizes the benefit for both the child and their family. Cassandra possesses an immense passion for the field of speech-language pathology and loves working with children and adult of all ages with various diagnoses. She enjoys being able to provide speech and language services in her hometown!